At Dentistry in Ajax, our friendly dentists are able to provide you with options for smile restoration, such as dental bridges and crowns! Dr. Lam, Dr. Frauts and Dr. Singh will assess your smile to see if a dental bridge is an option for you to replace a missing tooth. A bridge might be necessary if you are missing one or more teeth. 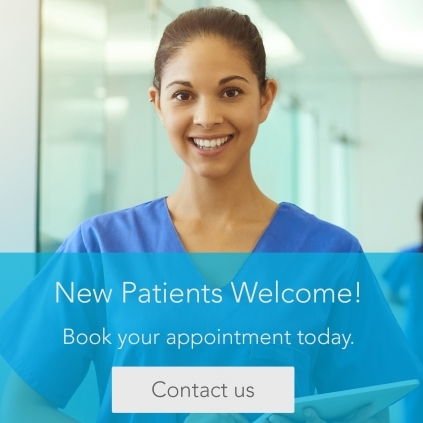 You will first need to book an appointment with your dentist to discuss your concerns. Your dentist will evaluate your smile and create a customized treatment plan for your oral health. If you and your dentist decide to move forward with the dental bridge appointment, you will have an impression taken of your teeth. Your dentist will then have the lab create your prosthetic device. You will also have your teeth shaded to create a tooth replacement that matches your smile. You will return to the dentist to have the bridge cemented into your smile. Your dentist may recommend a crown to cover a tooth that is broken or damaged. Our dentists might recommend a crown if you are restoring a broken tooth, if you have recently had a large filling replaced or a root canal, if your tooth is misshapen, or if you need to protect your teeth from future damage. What does the crown procedure look like? You will first visit your dentist to create a customized treatment plan that both you and your dentist agree upon. From there, if a crown is part of your oral health plan, your dentist will take impressions of your smile. The crown will be shaded so that it will blend in with your smile.